The truth is that the longer I step away, the harder it is to come back. Like the screw holding up the dusty shelf down in the basement that nobody’s thought to bother with for twenty-eight years, it’s going to take some elbow grease to get things turning smoothly again. But really. October? It’s been that long? Well. Merry Christmas. Happy Hanukkah. Happy New Year! I’d been in the middle of talking about how the stories we tell matter when life overtook me, and I have more to say about that (you notice how I didn’t promise a date this time? I’m learning!). Right now, though, I’d like to tell you about a few things that are happening in my own fair city. 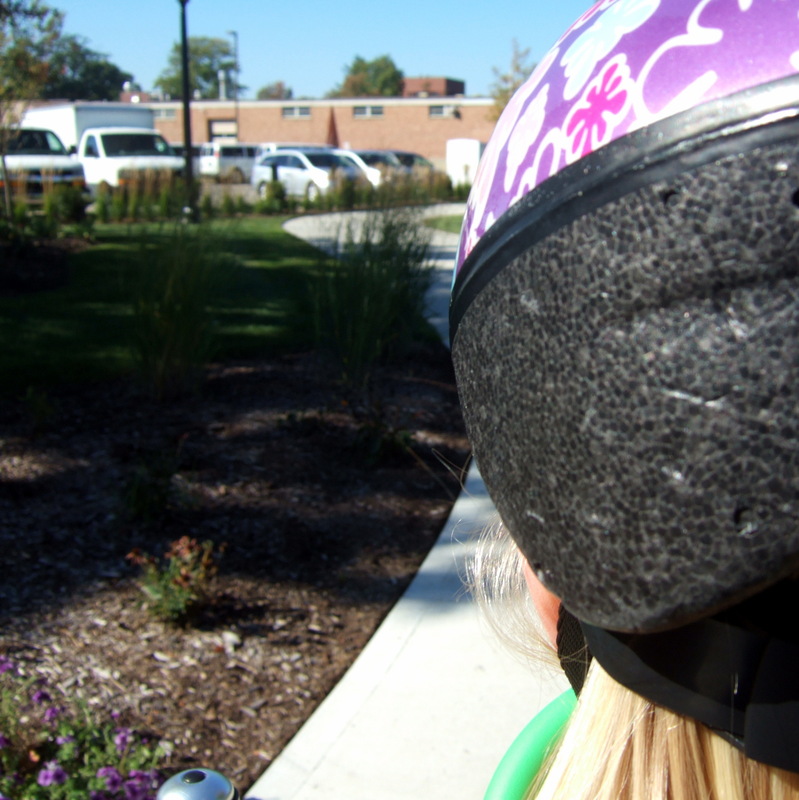 Our goal is to make the greater Holland, Michigan area safer for all types of bicycling, integrating biking into the infrastructure and soul of these communities. Basically, we just want to rider our bikes, and make it so our neighbors and kids can do it, too. We’ve also been discussing if we want to broader our goals to include broader livability measures, like walkability and working with Safe Routes to School. We’ve elected a Founding Board, which I’m chairing, that has been tasked with getting the organization up and running. The two committees we’ve decided to start with are engineering (addressing infrastructure) and education (addressing public education and outreach). We pulled those categories from the League of American Bicyclists’ infographic on The Building Blocks of a Bicycle-Friendly Community. Both of these have chairs and are recruiting members. If you’re interested, please leave a message on the Facebook page! There are good things happening in the city already that we’re trying to encourage in a more bicycle-friendly direction. Central Avenue is going to be rebuilt this coming year and will include some kind of bicycle accommodations in one section, either sharrows or bike lanes. Of course, we’d like to see that include all sections with real bike lanes, to make more of the city accessible to more people. We’re coming late to the process so we’ll have to see how it goes, but I’ll say this – it’s been a long time since I’ve felt so encouraged at what I see happening around me. 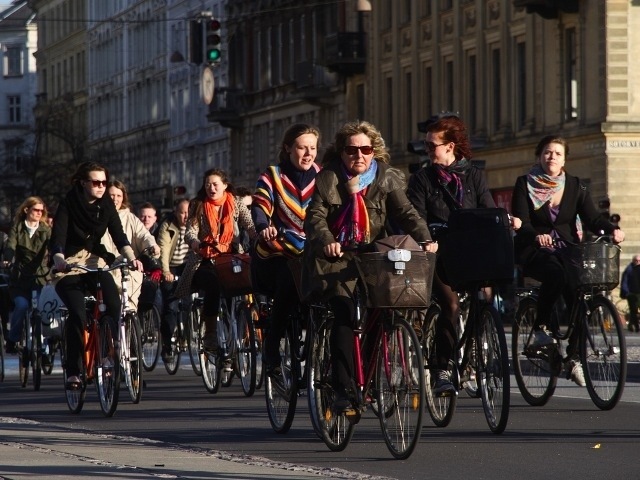 Friends on bicycles – you are not alone! And that’s all the time I have for today. One of the things I’m learning is the fine art of imperfection – and today, published is going to need to be better than perfect. If you know what I was saying in that quote, then you bike my city. It describes a particularly ugly stretch of street just beyond our award-winning downtown, the hidden non-infrastructure that everyone who bikes this way knows. It’s also a route that I ride four times every weekday on the school run, and sprang up as a topic of discussion as the first meeting of people of the Holland Area Cycle Coalition wound down. We need you – your voice, your thoughts, your experiences. Our second meeting is tomorrow, Wednesday, October 22 at 7:00 p.m. at Skiles Tavern in downtown Holland. If you can come, please do. If you can’t but like to ride bikes, Like the Facebook page for the Holland Area Cycle Coalition to stay up-to-date and voice your thoughts there. And if you know anyone who rides around town on a regular basis, please invite them to join us as well. The more voices, the better! Our series on the stories we tell will continue later this week or early next. Photo: Karen Dunnam. 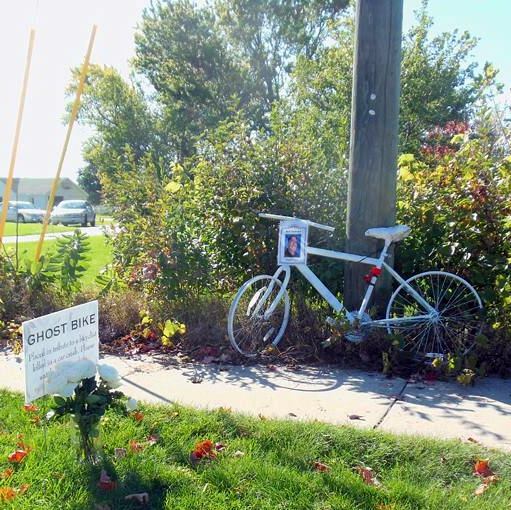 This is a ghost bike, placed in memory of Rod VanDyke. Do note that this is only near the site of the accident – there was no sidewalk where he was hit. Any child of God deserves to have his life treated with dignity, to have the story of his life – and of his death – told with integrity. But this doesn’t always happen. It’s time for us to have a conversation – about life, about death, and about the stories we hear and tell. Telling a story well can be uncomfortable. So can hearing a story well. Rather than receiving the story as it’s told, we may need to look a little more deeply into our own souls and re-examine what are sometimes ill-considered knee-jerk reactions. This is all the more essential when the “characters” in our stories are flesh and bone. A South Christian High School teacher who died after he was hit by a car as he rode his bicycle early Tuesday morning was wearing dark-colored clothing but had lights on his bike, Ottawa County sheriff’s officials said. Rod VanDyke, a math teacher and girls varsity golf coach, was riding southbound on 36th Avenue near Jasper Drive in Georgetown Township when he was struck from behind by a 1999 Acura also traveling south. The crash occurred shortly before 6 a.m. Oct. 7. Sgt. Steve Austin said investigation showed VanDyke was riding in the road, more than 8 feet from the edge. He was wearing black and gray clothing, and his bicycle had lights on the front and rear. Deputies found an MP3 player and headphones near him at the crash scene, Austin said. He was wearing a helmet. Last year, a similar tragedy happened when a teacher on his way to Hamilton High School was killed in a collision with a a semi outside the Tulip City Truck stop. His name was Josh Hoppe. Hoppe was driving about 6:20 a.m. south on M-40, south of the I-196 interchange, when police say a truck pulled out into his path from Tulip City Truck stop. He died at the scene after his 2009 Ford Fusion hit the trailer, near the cab of the truck driven by 54-year-old David St John of Wellston. As the community grieved over Joshua Hoppe’s death, the public conversation was quickly filled with anger and determination. People called MDOT, filled City Council meetings, demanded traffic studies, reminded the powers-that-be that others had died here, too. The community honored his life and demanded an accounting for his blood. What they didn’t do was question his decisions or character. Incidentally, the community’s efforts were successful. MDOT is planning to make safety improvements to the road in 2016. In researching this story, I read over a hundred media reports of car crashes involving bikes and pedestrians. I was encouraged by how many of them were neutral, including only the clear facts of what had happened. But many were not. Too many followed a predictable script, script that reinforces our desire to believe our world is fair and orderly, and that tragedies like this are either inevitable or crushingly just. But this script quietly argues for a status quo that sees valued members of our communities and families unnecessarily killed every day – and then blames them for dying. We don’t need to accept a script that far too often condemns the dead. On the contrary, this is a script that needs to be rewritten, and we have a right to insist that it is. This is the first in a series on the stories we tell about the people who use our common roads in ways that our culture considers unconventional. Next time, we’ll look at how to identify the specific scripts we hear so we’re better able to push back against them when appropriate. For a few more precious weeks, she sits in front of me as I ride her home from school. The bleary-eyed days of babies screaming the house awake two hours before dawn are being replaced by mornings I consider serving the kindergartener a cup of coffee before school. Today, though, this last baby chatters about the “app-ohs” she had for snack, asks if dragons are allowed in our house, and repeatedly demands chicken nuggets for lunch. We cut through Hope College’s peaceful campus to take advantage of their leafy sidewalks, but a wrong turn this week brought us down one of the streets directly adjacent to the school instead. It was lined with parked cars on either side, and we enjoyed the slow pace of the street, a pace that matched our own. A car pulled out behind us as we rode that street, glided past us as we turned the corner. Two blocks later the driver pulled into a driveway, safely home. American to the core, the student appeared to have driven five meager blocks. And this is our culture: we drive as a default, as a reflex. We drive because it feels like an indulgent waste of time to spend those precious minutes on a walk. We drive because it’s easy and we’re promised parking on the other end – and sometimes because it freaks us out to cross that one road. Most of us have done this, myself included. But this student’s journey suggests a set of solutions to the questions our city is facing this season. 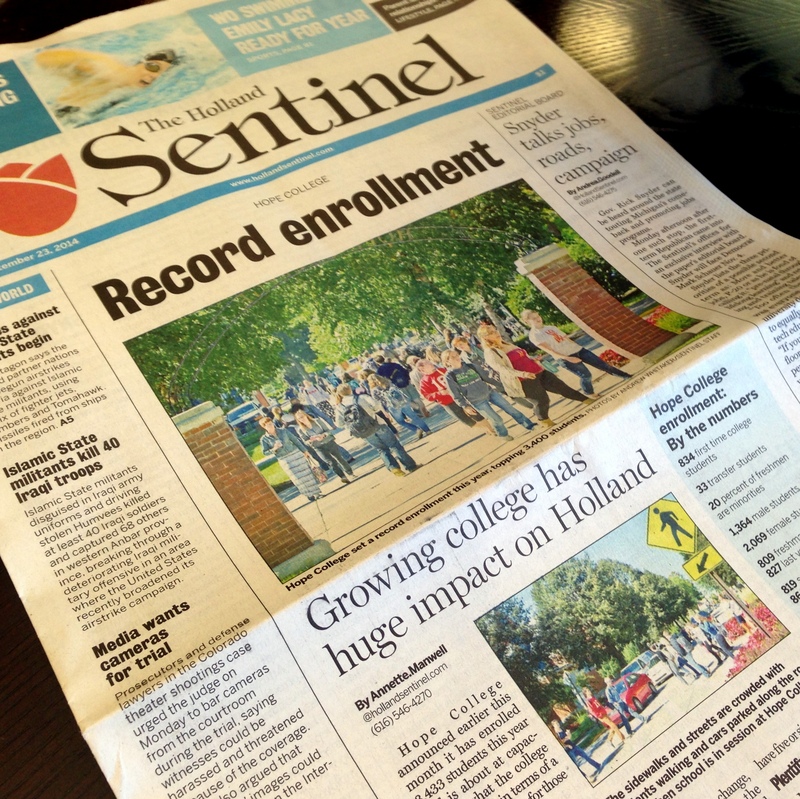 Front page in the local paper last Tuesday: Record enrollment at Hope College has huge impact on Holland. The two big issues are parties and traffic/parking. 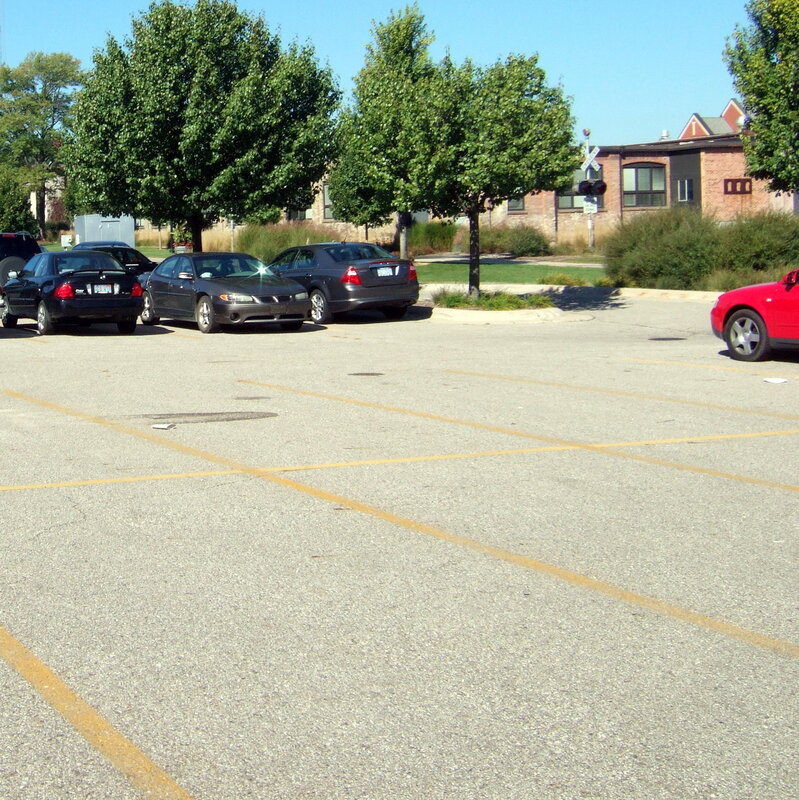 The college has and maintains 998 total parking spaces, said Tom Bylsma, Hope College’s chief financial officer and vice president of business. 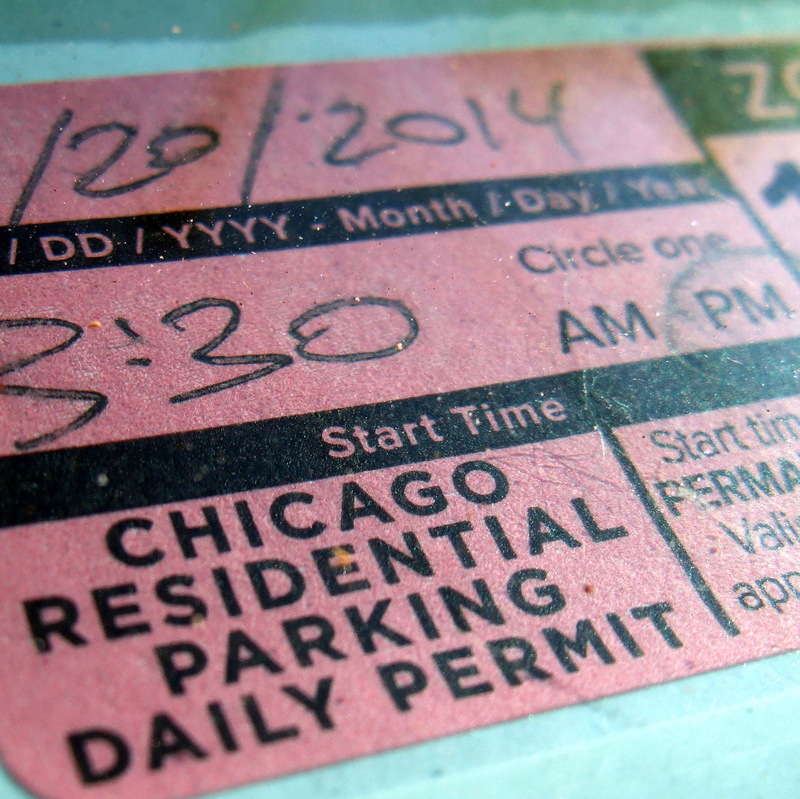 Students must have permits to park and earlier this month, a total of 955 had been sold. It is standard to leave a small cushion of spaces for snow piles in the winter, he said. “That should be enough,” Bylsma said, adding that historically, about one-third of the students have a vehicle. 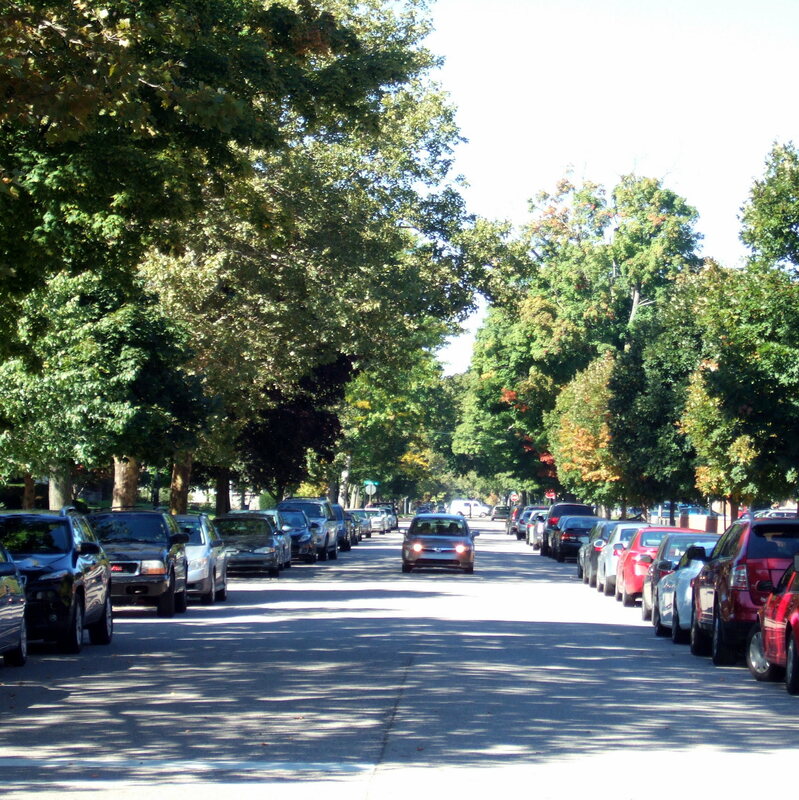 The car-lined streets in the Hope College Neighborhood is a concern mentioned numerous times by people who live there. Homeowners on 12th Street said if there is practice or a game at the soccer stadium, it is near impossible to get in or out of driveways. Yet Hope officials have not had any formal discussions about a parking structure, Bylsma said, but added they would be open to conversations about it with city leaders. 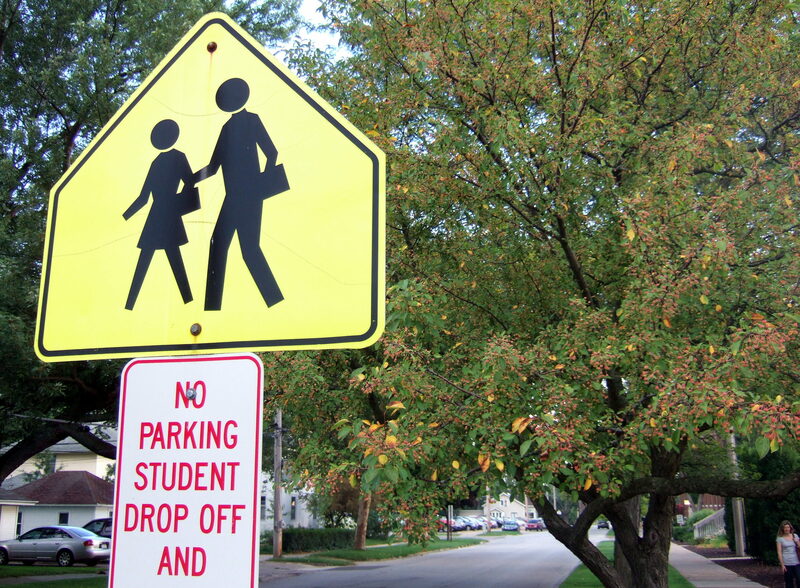 “I see the biggest problem is going to be parking,” City Councilman Wayne Klomparens said Wednesday, adding it was a problem when he went to school there. Councilman Myron Trethewey suggested allowing parking on only one side of the roads in that neighborhood to help ease congestion. Tom Bylsma, quoted above, nails it: we want to park as close to our destination as we possibly can, and will only choose otherwise if there is a compelling reason to do so. In addition to all the dedicated student parking lots, there is free street parking everywhere in the city during daytime hours. Much of this parking is blocks closer to the classroom buildings than the parking lots. The streets by the college are, indeed, lined with cars for much of the day. Much to the neighbors’ chagrin, there is no disincentive to driving five blocks. This would be a fun experiment. Leave everything precisely the same as it is now, but meter the on-street parking at a reasonable rate (I’ll leave it to the experts to determine what’s reasonable, though parking guru Donald Shoup suggests setting a price that produces 85% occupancy). Given my memories of how far I was willing to walk in college to avoid paying for parking, this might solve whatever problem we have all by itself. The powerful thing about this option is that it’s revenue-producing. Even though we think of providing street parking as a free service, it’s not. Our streets are built and maintained out of the big bucket of property taxes that we all pay into, so we’re subsidizing all this extra driving and parking as a community (city-wide, not just in this area). Although we could just use the revenue to offset the additional wear-and-tear from the weight of the parked vehicles, this would also be a great opportunity to improve our city’s bikeways as an additional step in solving the parking problem. We’ll talk a little more about that below. Homeowners on the street might not be any too enamored with the idea of meters on their streets, but there’s a tried-and-true workaround here, too – the parking district. The sticker above is still stuck to the windshield of my car from last weekend’s trip to visit my adorable niece (and her wonderful parents) in Chicago. My brother has a resident sticker on his car, and can park anywhere in his neighborhood zone for free. This is a guest pass, which is good for 24 hours and cost them about fifty cents. Putting a price on parking will deter students who drive five blocks, but presenting a viable alternative to driving is essential for those who live further off-campus. Replacing parking lanes with appropriately-sized bike lanes – ideally, separated from moving traffic – would respect the transportation choices that so many students are already making and be an economic win for the city as a whole, too. I’m hoping to talk about this in more detail in coming weeks, so I’ll leave it there for now. 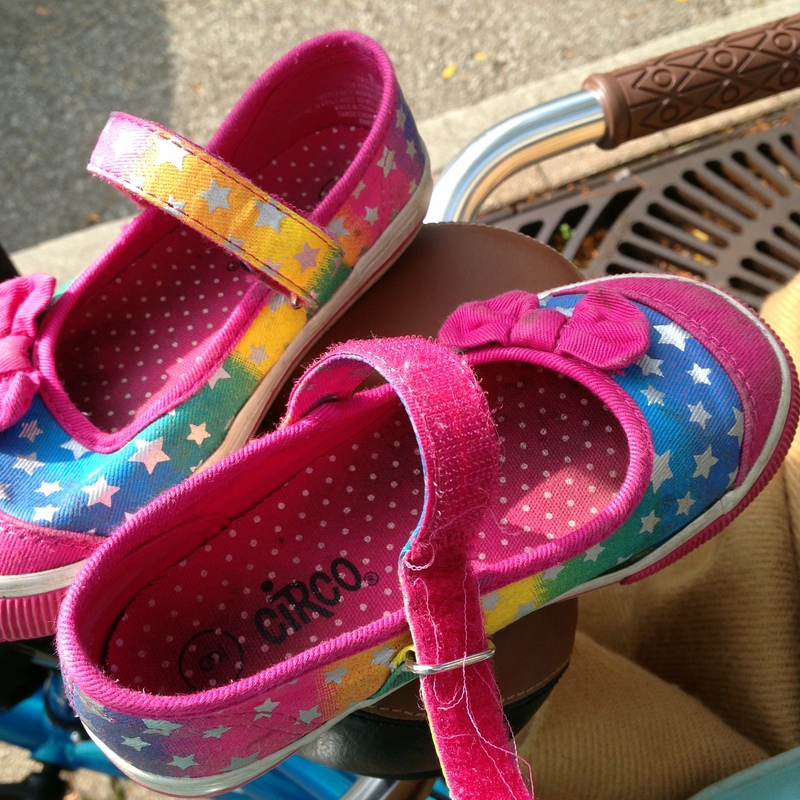 My friends tell me that the pigtailed toddler in rainbow shoes will be headed off to college before I know it. I hope the city of her choice, the school of her choice, will have set up systems that make active transportation easy. I hope that spending the inordinate amount of money necessary to own and maintain a car will be a choice for her, and not a requirement. I hope that someone has decided to make room for her on the roads if she chooses to travel on two wheels, as she does today. And let’s do the same for our neighbors kids. This cartoon Yehuda Moon cartoon (produced by Rick Smith & Brian Griggs) sums it up – but for parents making this decision every morning, it’s not quite so simple. We stood in one small circle of conversation among many others, the room buzzing with questions about the first week of school. Flocks of small children swooped around our legs, swiping cups of lemonade before flying off to bring mayhem to some formerly-quiet corner of the church. I play with the edges of the paper coffee cup, folding the handle up and down as I listen. The coffee is thick and almost greasy somehow, leaving its mark on the sides of the cup. Yes, the agony of organizing multiple children for school runs. Pulling the sleeping child out from under their blankets, draping that floppy, unwilling weight over your shoulder as you run out the door, returning to the house to pull a second droopy kid from bed. Tears falling from those bleary eyes, always, mama frazzled and late. We talked through a couple of possibilities. There aren’t any other kids on her block going to the same bus stop, so a walking school bus (uh… to the school bus?) is out. The problem is that one street that’s hard to cross. Almost all of the east-west streets around here stop at every intersection, but the north-south streets normally go eight blocks or so between stop signs. Of course, this means that traffic on these streets is much faster and that they’re more difficult and dangerous to cross. They’re designed so that people passing through by car can make good time – but they don’t add value to our neighborhoods. I can think of three women just off the top of my head this morning who are driving their kids to school because there is a street too busy for their child to cross. I accompany my capable children every day for this same reason. The profound irony of this, of course, is that 20% or more of morning traffic is made up of parents doing just that. Which comes first, the chicken or the egg? When we begin to talk about a Montessori City, we’re talking about a place where kids can practice age-appropriate behaviors without being unnaturally constrained by their environment. This is entirely do-able, but it’s going to require us to make some changes – and the sooner we allow our kids to live full lives right in their own neighborhoods, the better off our whole community will be down the road. They walk off this morning, bright backpacks on their backs and sweet-smelling lunchboxes in their hands (heaven knows those things won’t smell so good at Christmastime). Bouncing down the sidewalk with first-day enthusiasm, excited about new friends and new work. I trail behind, snapping pictures and wondering how it is that these kids who climbed into our bed every single night for years on end are suddenly so confident. So BIG. We walk with them today, and probably will every day this year. It’s a walk they could easily manage, but you know – traffic. Hide their phone from themselves. We saw it already this morning, the good guy we know talking on his cell phone as he breezed through the crosswalk. We can do this. We can put our phones down, turn them off, set them to airplane mode, when we’re going somewhere. It feels like we’re cutting off an appendage, but you know how Jesus said that if a part of your body was getting you in trouble you’d be better off without it? This counts. I won’t belabor this because we’ve talked about it before and will again, but the human body is not designed for collisions with steel and fiberglass. An adult body considers anything above 20 mph a high speed. With kids, it’s even worse. For every single mile per hour faster we drive – yes, really, in increments that small – there’s a dramatic and measurable increase in the likelihood that a person hit by our car will die. We don’t want that. You don’t want that. We don’t want that for our communities, and we don’t want a kid who makes a mistake to pay for that mistake with his or her life. That’s not the kind of people we are. So let’s slow down. Some of the worst behavior I’ve ever seen in adult humans has been while waiting in the car line in the past couple years. Honking, yelling, cutting people off, swerving around the whole car line at ridiculous speeds while there are kids walking around – insane. One of the most frustrating pieces of driving is getting stuck in traffic we don’t expect, and we want to make up the time. But it’s not worth it. Let’s keep our cool. We can do this, and it’s worth it. Why? Because we believe in the beauty, the potential and the right-now awesomesauce of every kid starting their new school adventure this fall. We believe in the futures of the children pulling up in minivans and in the futures of the children who are skidding up on Huffys. We watch out for our kids – ALL of our kids – because as a community, that’s who we are. It was summer at its best. 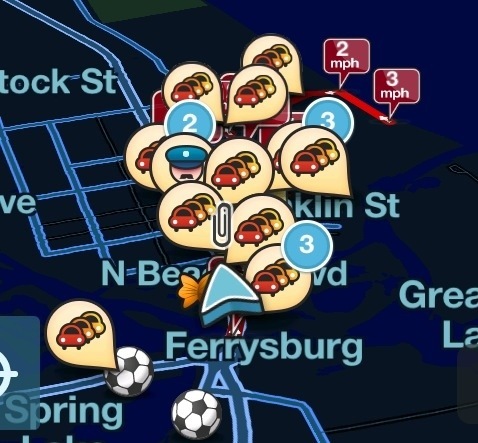 Grilled chicken, watermelon, second cousins, fireworks, a toddler belly-flopping off the dock… and traffic, the unsung Independence Day tradition! On our way home from the cottage, my family was logjammed for over an hour passing through Grand Haven. We were struck by how many people on bikes were crossing the river on the gravelly shoulder of US-31 – many of them children, most without lights, and all without protection from the crazies trying to fly around the traffic jam. … and it brought this visual to mind. Can you imagine what it would be like in our cities if we had more room to breathe? image courtesy Copenhagenize Design Co.